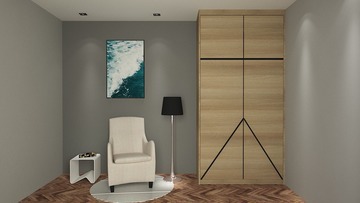 A modern minimalist wardrobe design. Melamine with 20mm width timber strip handle in a black colour finish. 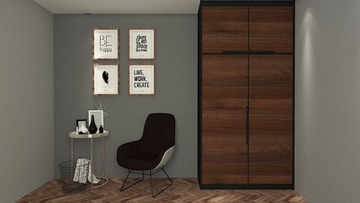 This modern minimalist wardrobe design comes in melamine with 20mm width timber strip handle in a black colour finish. 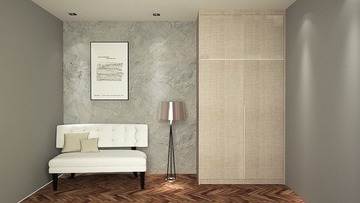 Exposed surfaces in melamine finish. Internal carcass in white melamine finish. Standard configurations are shown below.